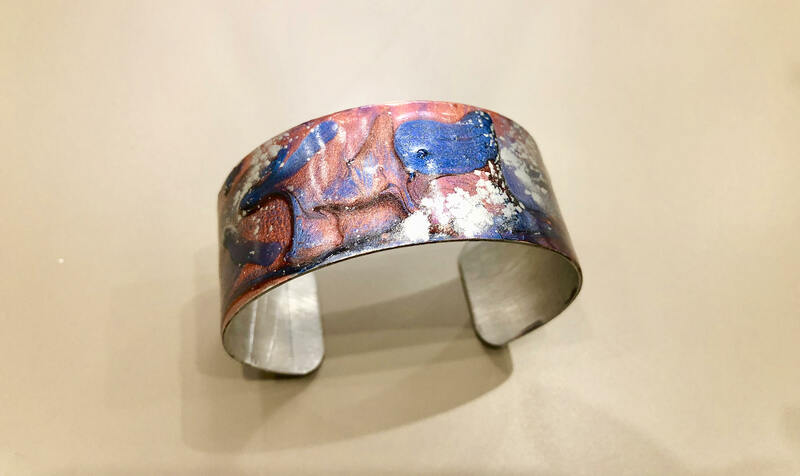 Enamel painted aluminum cuff open bracelet with abstract design (pink, blue, silver). 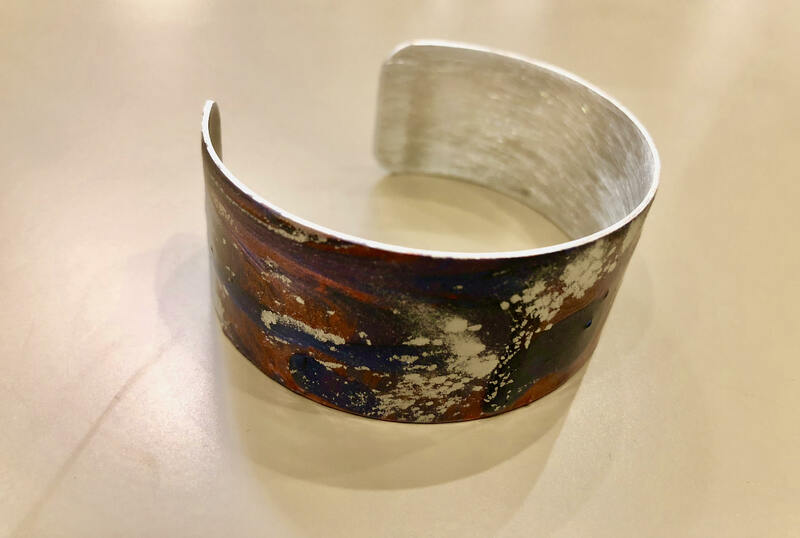 Materials: aluminum bracelet and Pebeo enamel paints. 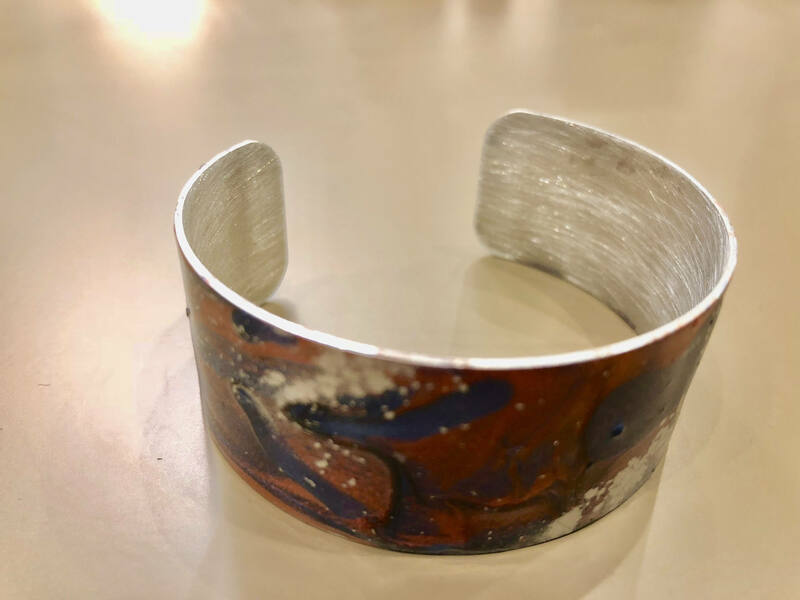 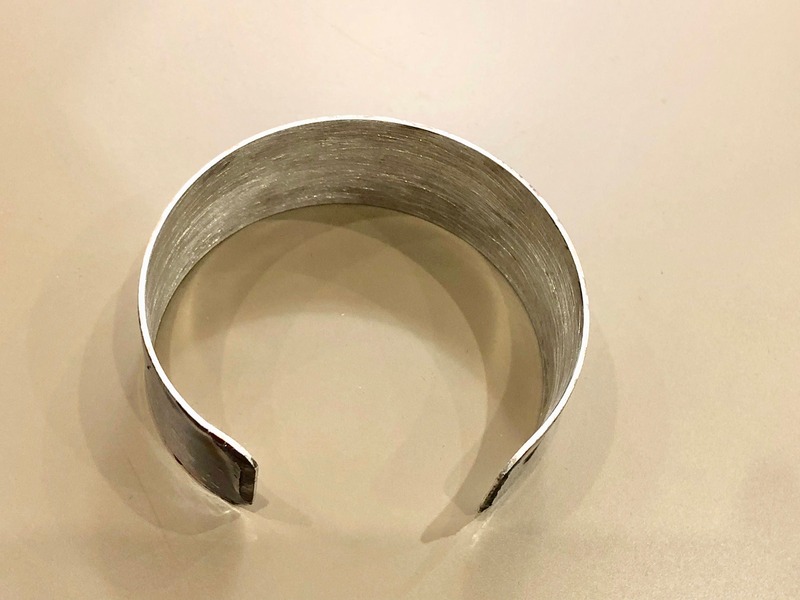 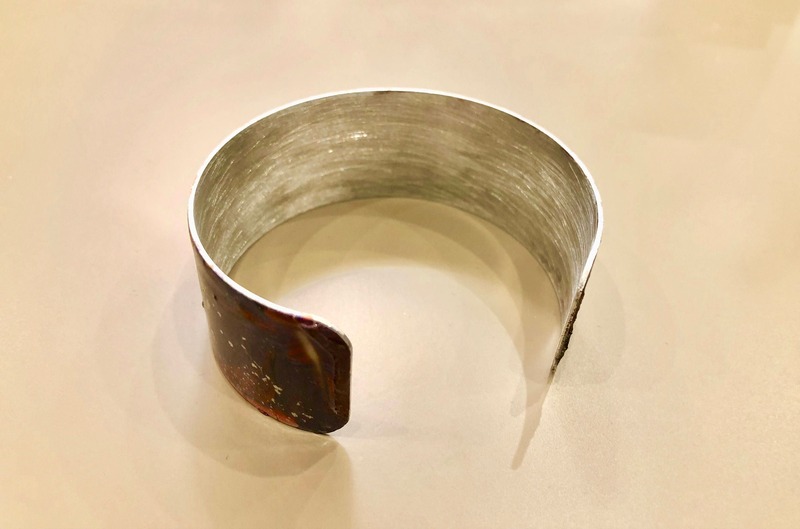 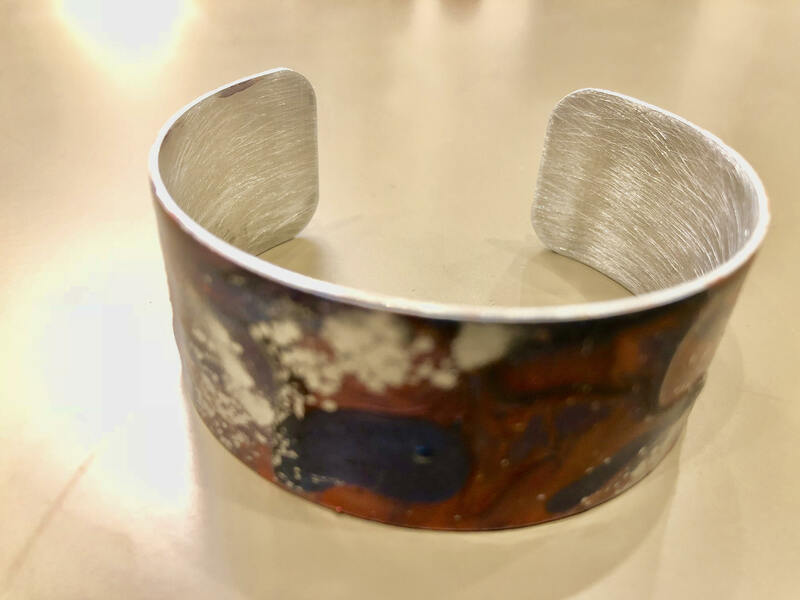 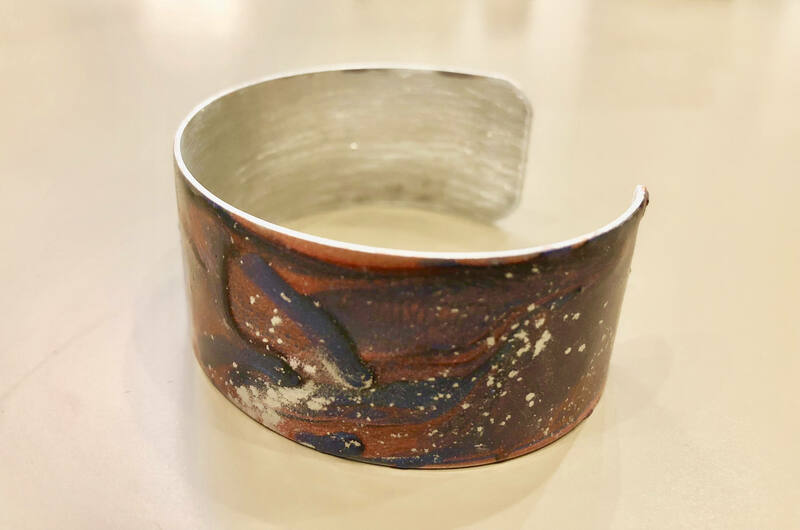 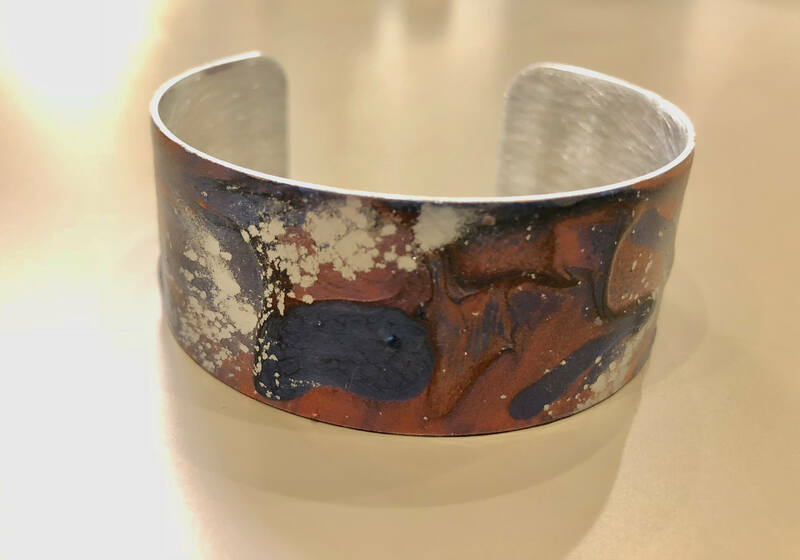 These bracelets are hand painted using multiple tones of air-dried enamel paints and/or black acrylic medium on aluminum or brass open cuff bracelets.